In the recently published Court of Appeal decision of Lutley v. Southern, 2011 BCCA 299, Mr. Justice Chiasson writes a detailed dissenting opinion respecting issues of liability arising from a motor vehicle accident which occurred at the intersection of 67th Ave. towards Oak Street in Vancouver. The accident occurred as the Appellant/Defendant attempted to traverse multiple lanes of traffic as she proceeded west on 67th Ave. The Appellant stopped at the stop sign on 67th Ave. Traffic on Oak Street was stopped in both directions as she drove through the intersection. Unfortunately, as she exited the intersection, the Plaintiff’s vehicle, which was travelling westbound in the curb lane of Oak Street, struck the rear bumper of the Appellant’s car. The trial judge held the Appellant 60% at fault for the accident and the through driver 40% at fault for the accident. In coming to that decision the trial judge held that the Appellant had been negligent and was in breach of her “statutory duty” to maintain a proper lookout and by accelerating through the intersection “when it was not safe to do so”. The respondent was under a positive obligation to be able to stop before entering the intersection. She was unable to do so. The appellant was lawfully in the intersection and entitled to the right of way. The respondent was passing stopped vehicles on her left with clear knowledge of potential danger at the intersection. On the evidence of the respondent and Mr. Nagy, it is apparent that the appellant had been in the intersection for some time. The respondent gave various estimates of how long the 67th Avenue light had been green (from four to six seconds; it turned green when she was approximately three normal city blocks away; there was ample time for a pedestrian or motor vehicle to traverse the intersection). 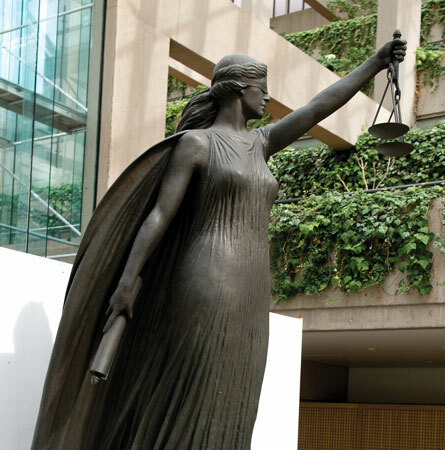 The appellant had no indication that there was a vehicle in the curb lane or that the respondent would enter the intersection in complete disregard of her statutory obligations. Lane six presented a new danger to the appellant. While in my view her speed through the intersection was not inappropriate, she testified that she did not slow down before entering lane six. The judge rejected her evidence that she looked up the lane and he concluded both vehicles were, at that point, travelling too quickly. Had the appellant slowed it is possible that she may have seen the respondent, although this also may have placed her into a position where the collision would have been more serious. While a dominant driver is entitled to assume servient drivers will obey the rules of the road, a dominant driver cannot act unrealistically. It is an unfortunate reality that servient drivers like the respondent do disregard their obligations and dominant drivers cannot ignore that fact. A dominant driver passing through an intersection who is confronted with a new risk – a seemingly empty curb lane the view of which is obstructed – must proceed with some caution. 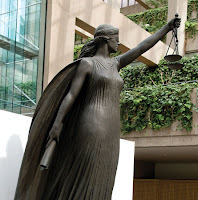 An appellate court rarely will interfere with a trial judge’s apportionment of liability (MacDonald (litigation guardian of) v. Goertz, 2009 BCCA 358, para. 58), but will do so if the judge has made a palpable and overriding error of fact, misapprehended the evidence or erred in principle. It is an error of law not to take into account the fact a party was the dominant driver (Bedwell v. McGill, 2008 BCCA 6, para. 59) or to fail to recognize the significance of a servient driver’s negligence (Gautreau v. Hollige, 2000 BCCA 390, para. 18; quoted in Bedwell). I am indebted to my colleague for his summary of the facts in this case. I regret that I am unable to agree with his conclusion. Both drivers proceeded in the intersection at lane 6 without knowing whether it was safe to do so. Neither could see the approach of the other. They were both careless in causing the accident. With all due respect for the contrary view, I do not think the apportionment of fault in this case depends on the statutory provisions governing the right of way. Each party can assert a right of way but, on the facts, neither exercised the common law duty of care in a situation requiring caution. In my judgment, it was not an error to find the parties roughly equal in liability. While the apportionment might have been reversed or assessed at 50:50, the judge’s determination is within a reasonable range and I would not disturb it.